Ever wonder what it’s like to get to the finish line first at one of Milwaukee’s premier races? Matt Thull knows. 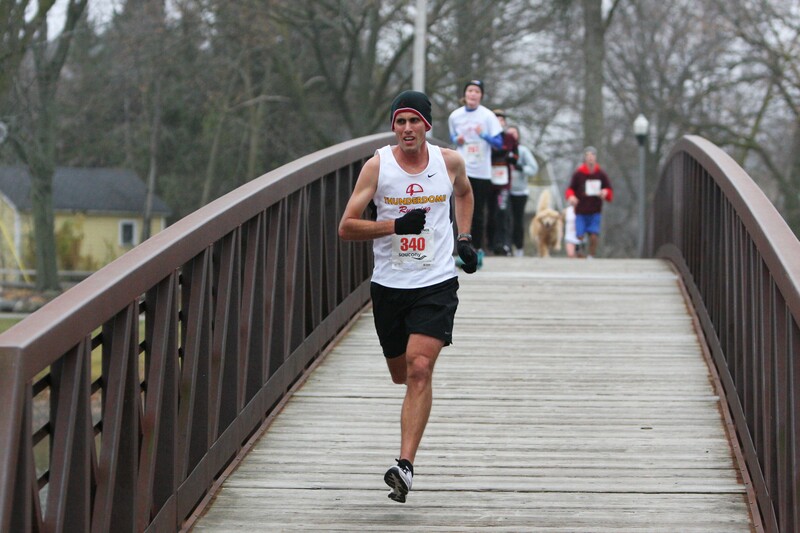 The six-time winner of Briggs and Al’s 8k race also has five, top 10 USA National Road Race finishes to his name and was a member of the USA World Half Marathon Team. Read on to learn how he got started, what a typical day of training looks like and why he loves running in MKE. My high school cross country coach came over to my house before my freshman year of high school to do a run and try to convince me to join the team. I had overslept and was still in bed when he got there. I got up to run with him and on that run he persuaded me to run cross country my freshman year of high school. What’s kept you running all these years? Competing in races and traveling all over the US. When I am training for a key race build up, it is a morning run of 4-5 miles and a PM run of 10 miles. 10 mile progression/cutdown pace run where you get faster each new mile until at the end it is close to an all-out effort. Hart Park parkway area, Honey Creek Parkway and Hank Aaron Trail. There’s a large number of members/clubs in our running community, great running store community support (Performance Running Outfitters), and a weekend group long run anywhere, anytime, and any distance if you look for it. You barely ever have to run alone. 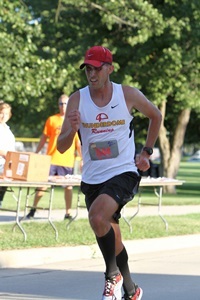 This entry was posted in MKE Runners and tagged Matt Thull, MKE Runners, Running in MKE. Bookmark the permalink. Pingback: Keep Running MKE | Race for the Bacon – The Perfect Blend of Running & Good Eats!